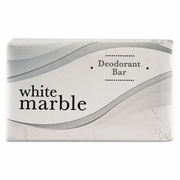 White Marble Deodorant soap individually wrapped. 3/4oz. size. 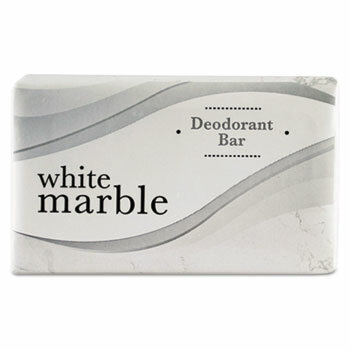 Deodorant soap that is mild and non-irritating on the skin. Ideal for use in hospitality industry with its fresh and invigorating scent. 1000 per case. Sold in case quantity only.